I can’t believe it is already October, but that also means it is time for one of my favorite things - Slow Fashion October! If you’re unfamiliar with the concept, Slow Fashion October is “A celebration of the small-batch, handmade, second-hand, well-loved, long-worn, known-origin wardrobe.” (pop by @slowfashionoctober and give them a follow!) This was all started by the Fringe Association several years ago to encourage us all to give more thought to where our clothing comes from and what impact it has on the world around us. 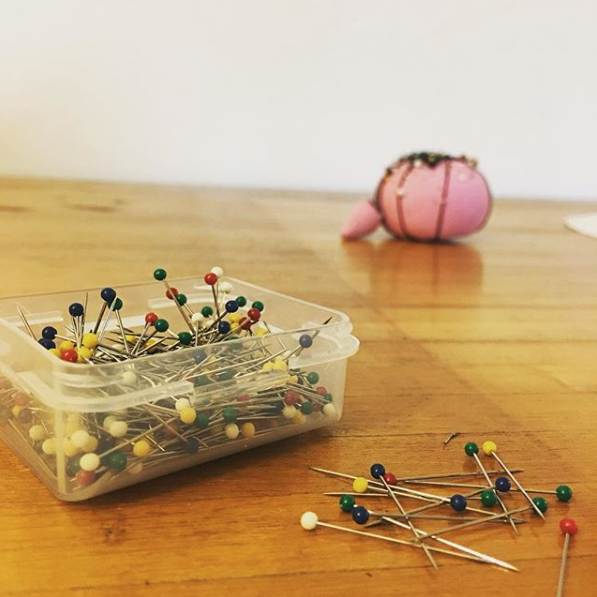 Slow fashion has always been important to me personally, because ever since I learned to sew as a little girl I was constantly mending, modifying, or making clothes. It became clear that there were times when making my own clothes was actually more expensive than buying something off the rack, but often that just didn’t feel right. Not only did I want the experience and joy of making, but I wanted the better quality, craftsmanship, and sustainability too. Eventually I learned there was a name for this and even a bit of a movement behind it, and fell in love with the idea of Slow Fashion. I’m not going to try to tell you that everything I’ve ever made personally or even for KD has been 100% eco-friendly, sustainable, & perfectly perfect for people and the world, because that is far from the truth. But as I’ve grown this business, it has become clear to me that knowing the who, what, and where involved in the clothes I make and sell is of paramount importance to me and my customers. 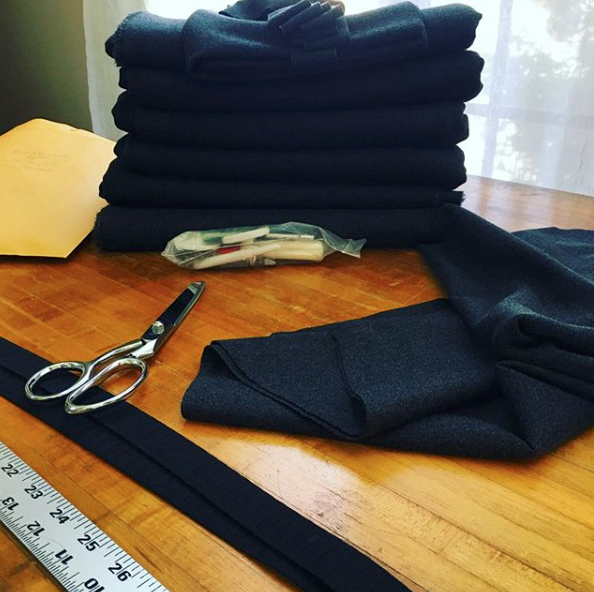 Knowing that since I launched the first ready to wear collection last year, every piece has been made in my studio in Virginia using fabrics produced in the United States gives me great pride because I know that my customers are getting clothing made with ethical labor, quality craftsmanship, and sustainable practices at every step of the process. Slow Fashion isn’t about being perfect, so don’t feel the need to throw out anything you’ve ever bought that wasn’t handmade. It’s about taking the time to consider how you might make even those fast fashion pieces last longer, how you can make future buying decisions to include buying from companies that consider how their products are made at every level, or even jump into making your own clothes. Slow fashion is a celebration of your wardrobe and how you can make it the best for yourself and the world at large, rather than a guilt trip. I hope you’ll join me in celebrating all month long! I’d love to hear from you about some of your favorite companies and people who embody the spirit of Slow Fashion October, leave their info in the comments below! For our celebration of Slow Fashion October, we’re officially launching preorders of the Wool Wrap Coat at a special price. Take $100 off if you order by October 15th! Quantities are super limited, so be sure to grab yours today. Orders will ship the first week of November.